Maybe you have an external hard drive and not enough ports on it. 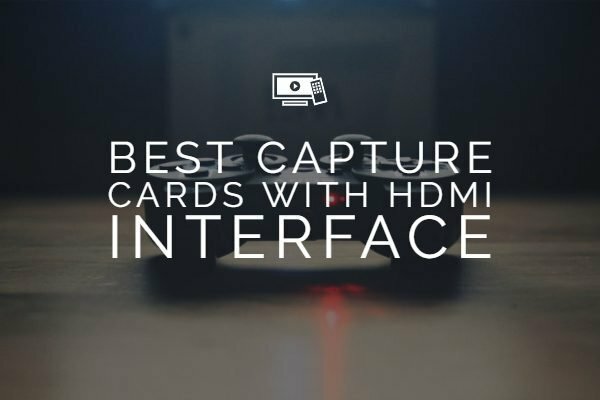 Most of the devices like MP3 players, CD or DVD drives, game controllers and webcams come with a USB interface, and it can be a huge concern when you attempt adding them to your external hard drive. 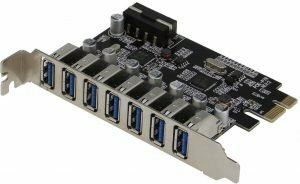 How about adding a few additional USB ports to your PCIe slot? This is where an innovative product like PCIe to USB adapter comes to the fore. There are several PCIe to USB adapters that can be helpful enough and provide you access to an excellent option of enhanced connectivity. Let us check out a few PCIe to USB adapters that offer you high-speed connectivity. Well, If you are looking to add a few additional USB ports to your devices or external hard drives or even to your computer, the best way you can be able to achieve it would be through a PCIe to USB High-speed connectivity option. This can be accomplished with the help of a PCIe to USB adapters. There are different adapters available that add up two to four USB ports to your system. You also have access to the adapters that provide either USB 2.0 or USB 3.0 standards. Recently, the adapters with USB Type C connectivity as well. 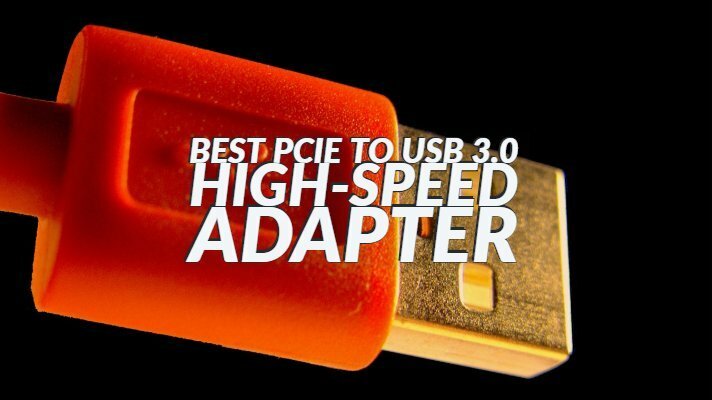 With that information, let us check out a few adapters that offer you a PCIe to High-speed USB connection option. The adapter is entirely powered by PCIe bus. This will mean you will need no additional power supply. In addition to using them for data transfer and connectivity, you can also use them for powering your USB devices without the need for AC outlet. The adapter is backward compatible with USB 2.0 standards. 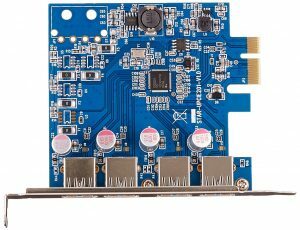 PCIe to USB adapter is hot swappable. So, this will help you add and detach the devices without any reboot requirements. If you think the product is worth the money, you can check it out at this link on Amazon. 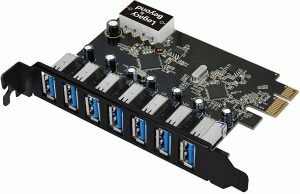 How about adding up seven USB ports through an available PCIe slot on your device or external hard drive? The SIIG Legacy and Beyond Series PCIe to USB 3.0 should be one of the excellent choices for your requirements. It supports USB 3.0 connectivity option thereby offering you superspeed functionality. You can expect a data transfer rate of up to 5 Gb per sec. This ensures a faster and smoother data transmission capability. The embedded UASP feature ensures that you can use the enhanced data transfer speed with the SSD. The multi-port functionality will ensure that you can add up several peripheral devices without having too many plugins and settings. If those features impress you enough, you can check it out and find more details on Amazon. 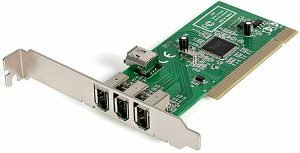 Another excellent option for a seven port USB 3.0 connectivity from your PCIe connection, you can go with the Sedna – PCI-E 7 Port USB 3.0 Adapter should meet all your needs to a greater extent. The adapter offers you a USB 3.0 connectivity option. The adapter will not need any installation. You have access to seven USB 3.0 ports. The adapter promises a transfer speed of up to 5 Gbps. It also offers you a Molex 4 PIN power connector. The bracket might have compatibility issues with certain PC Cases. In case you find the concept interesting enough, it can be a good idea to discover more about it at this link on Amazon. The adapter adds up 3 FireWire port options to your desktop through a PCIe slot. The shared internal FireWire port lets you connect with the internal devices. The adapter offers you three external and one internal port. One of the best options for iPods, MP3 players, portable drives and digital camcorders. 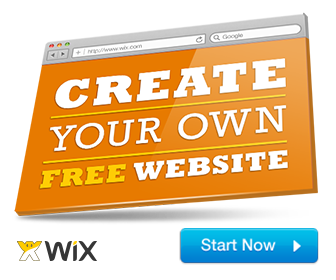 It comes with both a low profile and standard profiles to choose from. Hot swapping functionality should help you swap your peripherals with ease. Plug and play compatibility should be one of the excellent options. If you think the adapter is worth your requirements, you can check it out at this link on Amazon. The five port PCIe to USB adapter comes with USB 3.0 functionality. It offers you a transfer rate of up to 5 Gbps. Of course, the actual transfer speeds would be dependent upon the devices connected and their features. The SuperSpeed functionality should be an excellent option to provide you excellent USB 3.0 functionality. The adapter is backward compatible with USB 2.0 devices as well. Easy plug and play feature will make it a great choice to go with. The adapter is compatible with Windows XP. Vista, Windows 7,8 and 10. You can use 4pin Molex to SATA converter to power the adapter if needed. If you think the adapter meets most of your requirements, you may check out the adapter at this link on Amazon. 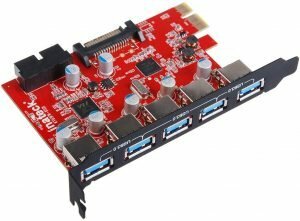 One of the best PCIe to USB adapter with seven USB expanded ports, the SHINESTAR PCIe USB 3.0 adapter provides you access to quick and easy installation functions. The adapter gives you access to high-speed transmission. The adapter comes with two SATA cables and one extra USB extension coils. The adapter is compatible with a wide range of operating systems like Windows XP, Vista, Windows 7, Windows 8, and Windows 10. Driver issues in Windows 10. Ensure updating drivers. Use shorter connections and cables. If you are looking to lay your hands on the adapter, you may check it out on this link on Amazon. Well, that was all we have had concerning the best PCIe to High-Speed USB adapters you can lay your hands on. Please note that we have made it a point to include the adapters with the USB 3.0 standard as it offers you a super speed performance. 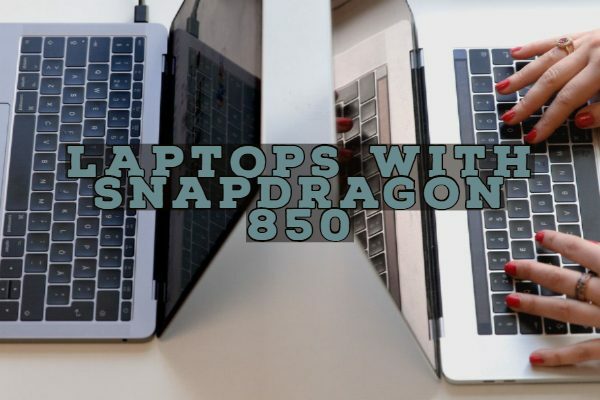 However, the actual speeds you stand to gain with the adapters and ports thereof should be dependent upon the devices you have connected to your computer or other devices. Have you used any of the adapters featured in this compilation? If you have, do share your thoughts, experiences, and opinions with us through the comments here below. 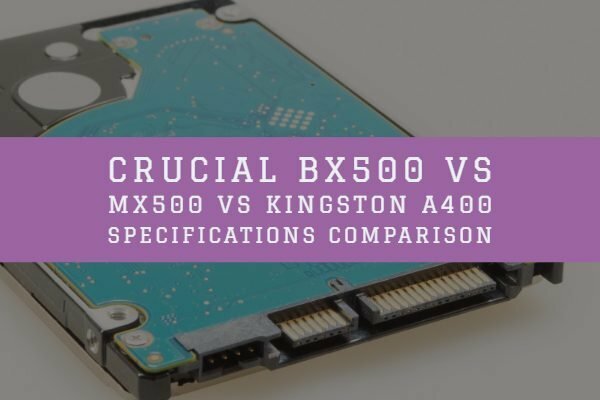 What are PCIe 3.0 x16 riser cards?